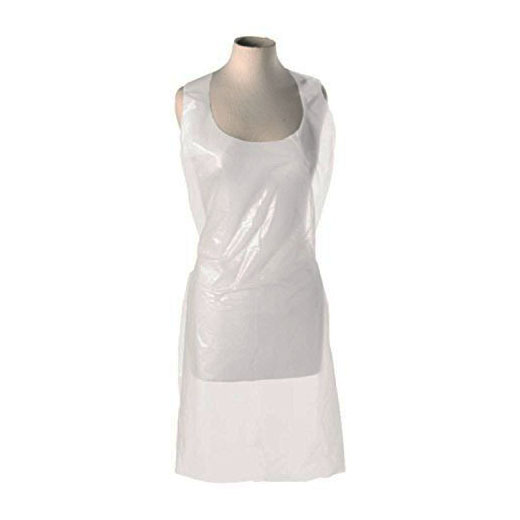 Lightweight disposable aprons. One size. Suitable for kitchens, schools, nursing homes and more. Pack of 100.